This month my (first) solo paper comes out, which was a big deal as it is, well, my first solo paper. The short communications describes the web app Mutanalyst: a good/amazing/best/super online tool to help calculate mutational bias spectra especially with poor sampling —in case you were wondering what does shameless Search Engine Optimisation look like, there goes an example. The topic is straightforward as it describes a web program I wrote with a twist, namely it calculate the standard errors, which are dismal when sampling is limited. The weird part is submitting a paper without backing, hence the account of my saga here. The analysis was to simply assess whether a mutagenesis experiment was heavily biased, so due to the novelty of propagating errors it had to be discussed in my viva. It was, however, in the last experimental chapter of my thesis, so the last thing examiners want to hear towards the end of a long viva —which I thoroughly enjoyed— is either someone talking about first-order Taylor equations or someone justifying why a first-order was enough (depending on your viewpoint), so it was suggested to simplify and to drop the mathemagical section (=maths that it is best to pretend is magic section —mathemagic in science is a topic of another post). However, while talking to Wayne, my former supervisor, I thought it would make a handy tool for biochemists. So I wrote the code —in JS to avoid using a server as I was not obsessed with OpenShift back then. if the person does not speak Spanish and has seen X-men. No supervisor or co-author to check it meant that I had to just wing it —content and all — both for the paper and the program. Right at the end, I asked a a former colleague to check it, who spotted a few sentences grammar of bad. The biggest stumbling block however was the name. I uhmed and ahred. I changed my mind after every discussion with someone. The dev name was mutational bias calculator, not Thor, epsilon Eridani or aleph, despite the many coffee chats about how cool or ironically uncool in an antipostmodernist way some dev names are. Windows 7 was called Longhorn, which is so much nicer than the end number. I was reading Olympos by Dan Simmons, so really wanted a Greek hero. I though Chiron, Hercules' tutor, who was a centaur, which is cool. Except it sounds like it has something to do with chirality. Then I was thinking Hephaestus's anvil. Except it sounds like a pub. 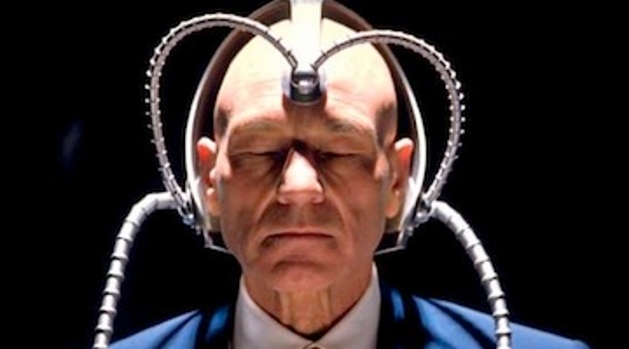 Then I got given the suggestion Cerebro. 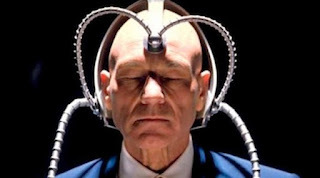 Prof Xavier on X-men finds mutants with a computer called Cerebro. My excitement at the awesome name died when the second person I told it to did not get the reference and thought it was a brain thing. Throughout the process, a portmanteau was always the number two. Mutanalysis. It says what it does and EU grants like portmanteaux as the project title —the only fun part of a EU grant, possibly after changing the font Arial Narrow. In the end I anticlimactically went for that. I decided on a journal and submitted it in August. I was a "postdoctoral consultant", i.e. working pro bono in order to write a grant. De facto it meant I was unaffiliated. I cannot find any evidence this means anything, bar for who pays the APCs and maybe for the university paper count. A few Google searches revealed that in papers where the author is retired or not affiliated, the affiliation is put as "Independent Scholar". An acquaintance of mine remarked that it sounds like a 19th century gentleman scientist. And it does indeed sounds splendidly so, rah rah —if only I could grow a moustache. Well, the online form wanted an institution with address, so I went with the one I was working for indirectly, even though the forms did not check anything, so I could have put "unaffiliated" as institution or even Miskatonic University, Arkham, NH, but I chickened out. Choosing the journal was simple as some other protein engineering software were published in a certain journal that was not open access and that everyone though fitted the bill. I have little idea who constitutes a conflict of interest as a reviewer, so I basically chose people I knew who would like it. I submitted the paper and to my horror it did not pass the editorial step. The stated reason was that they did not publish papers about software anymore. As professors always lie by habit, I was sceptical. Out of curiosity I check the analytics of the website: "someone" in California had accessed the website using Internet Explorer 8, the bane of web developers, so I was fretting the website failed due to IE8. I also was suspecting that they did not like that I was not affiliated. Irrespectively, the rejection make me despondent to do much with the work. It basically sat there doing nothing for five months. I asked around and was suggested to submit to F1000 or BioRχiv or to ask for a associated publication cost waiver from an Open Source journal. I read up on F1000 and I might submit a small paper there one day on some old data I have floating around (say the serBC story in the post about pathway-wide promiscuity), but I went for the waiver option (after formatting the paper only to find out the cost associated with anything longer than a page). I chose BMC bioinformatics and tweaked the paper to fit their format —which actually improved the legibility a great deal. Just before submission one can apply to get a waiver. These are intended for people from poor countries, so for me, in Denmark, it was a tad tricky. I was offered a 20% discount first. I replied melodramatically with an anti-CV (movie drammatisation pending) and the truth, namely that it was a paper that had nothing to do with my current workplace and I was not funded by a grant, so would have to pay it with my own broke postdoc pocket. I was then asked to get written proof that the company I work for was not supporting the paper. In the end they conceded and waivered the fee. The waiver process took about a month. Once it was confirmed, the editor send it for review and within 3 weeks the reviewers both really liked the paper, which was pleasantly shocking for me. In essence, the waiver process was way harder. In another post I looked into the profit margins of major publication companies and every single academic will agree that the system is broken, but I was pleased and for a brief instant I was in favour of the system... until I wanted to read a paper at home the next day. On grants I can now claim this as proof of scientific independence. However, off the record, the self-management and decision making was easy —I tweaked something until I did not care sufficiently about it—, I would say the greatest challenge was actually overcoming my self-doubt, which based on the September–January hiatus, I did not overcome as strongly as I should have. Ironically, for my other paper drafts I need to nag people, so the self-doubt is masked by the annoyance of having to nag.